Some people say Noah’s Ark landed in Kurdistan. If it did, it left little in the communal memory about the value of animals, so I think every time I see another dead dog by the side of the road. I was taught by my parents and teachers that we share the planet with the animals and the plants, and that as we got the brains in this deal, we are responsible for looking after them. At home, we had a dog, and since I have been living on my own I have had cats. 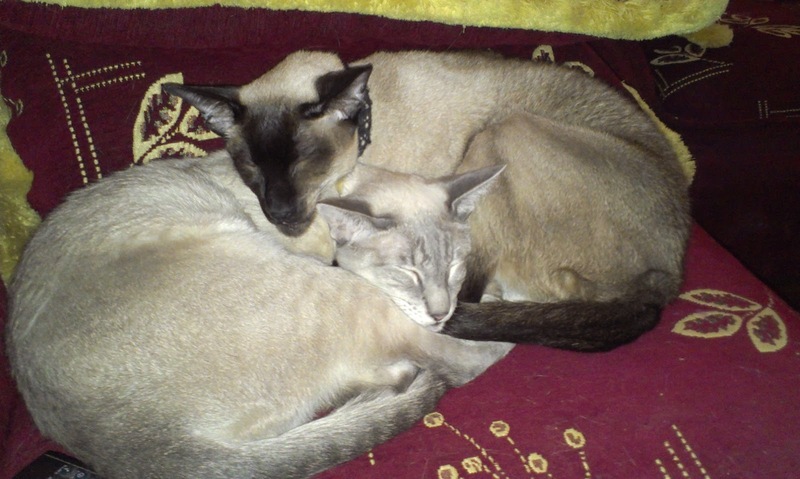 I took my two Siamese cats with me to Kurdistan, creating excitement at the airport of Sulaymaniya – they had never seen anything like it. My Kurdish friends wanted their children to see my cats, the vet who vaccinated them wanted a picture for his kids. Yet people would stay away because they were scared of cats. That is unimaginable in my country: everybody likes pets, and most people have at least one. It might be a cat, a dog, a bird, a rabbit or even a mouse or a rat. Animals are men’s companion, it is said. Zina and Banu have been with me these past years in Kurdistan, hating me because they cannot play in a garden anymore and yet always happy with my company. And they confront me time and time again with the completely different way people in my new country look at animals. The kittens we had at the media centre, my staff liked until they got bigger. Then suddenly they were dirty, and scary. They had to go. What can you do? We found a farm to send them to, but of course these town cats were badly equipped for the farm life. Only occasionally, we see dogs and then mainly wild, outside the city. But mostly I see those killed on the roads. Dogs in Kurdistan have no life, because few people like them. They may work with a shepherd, or as a guard dog at the airport. But generally Kurds seem to think dogs do not deserve a place in our world. 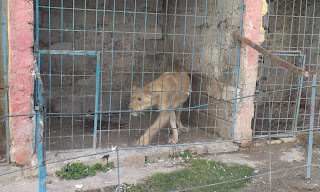 In one of the animal shops in Sulaymaniya a baby lion was sold, probably caught after his mother was killed. Why kill such a precious animal, and what will happen to the lion cub? Birds of prey are also caught, to be sold for hunting. Beers are hunted and killed, the same goes for birds, of which there are already too few in Kurdistan. And when you visit the local little zoos, you will find the situation of the animals there is really bad. Cages that are too small, as in the picture, which is taken in Erbil. In no way the needs of the animals are addressed in these zoo's. I felt horrible having visited them. At the end one is even supposed to give some money to feed them. So why start a zoo if you cannot look after these animals? Animals are part of our world, as they are creatures of God like we are. It hurts to see how they are treated in Kurdistan. Changing this starts with parents and teachers understanding that our world can only be whole with humans and animals living together. Let’s teach that to our next generation - please.